LAHORE: The local cadre of Pakistan Tehreek-e-Insaf (PTI) from Shahdara has warned the party leadership and the parliamentary board not to repeat its mistake and award party tickets to an outsider as it may result in losing one of the crucial seats from Lahore like it did in the last elections, Pakistan Today has learnt. As per the details, around a dozen ticket aspirants appeared before central Punjab President Abdul Aleem Khan, who is the member of the parliamentary board, seeking party ticket for NA-123 (Lahore I) that is the first constituency of Lahore. Sources told Pakistan Today that only three of the total aspirants were residents of Shahdara including former Member Provincial Assembly (MPA) Mian Mehmood Ahmad, former Union Council (UC) Nazim Khalid Mehmood Gujjar and Mian Waheed Ahmad. It is pertinent to mention here that PTI lost the said seat in 2013 (then NA-118) because PTI’s candidate, Mian Hamid Zaman, was an outsider and didn’t know anything about the constituency. He could manage to secure only 43,570 votes against Pakistan Muslim League-Nawaz’s (PML-N) candidate Malik Muhammad Riaz who recorded an emphatic victory by grabbing 103,310 votes. Earlier, PTI had finalised the candidature of former Punjab governor and central leader of the party Chaudhry Muhammad Sarwar from Shahdara NA-123 but dropped the idea after Sarwar was elected to the upper house of the parliament. Mian Omer Farooq, a PTI worker from Shahdara who ran a vigorous campaign for the party in the local bodies election, told Pakistan Today that PTI was in a quandary after Chaudhry Sarwar dropped the idea to contest from Shahdara and therefore several aspirants had come seeking the party ticket for NA-123. “Founding member of PTI Dr Shahid Siddique, Mian Akram Usman, son-in-law of the former leader of the opposition from Punjab Mian Mehmoodur Rashid, Irum Bukhari, Asghar Gujjar and other outsiders are among those seeking a ticket for the said constituency,” he said. Moreover, there are also some reports that former ticket holder from PP-150 Mehar Wajid Azim and former ticket holder from NA-121 Mian Hammad Azhar are also in the race for NA-123 and both of them are outsiders as well. 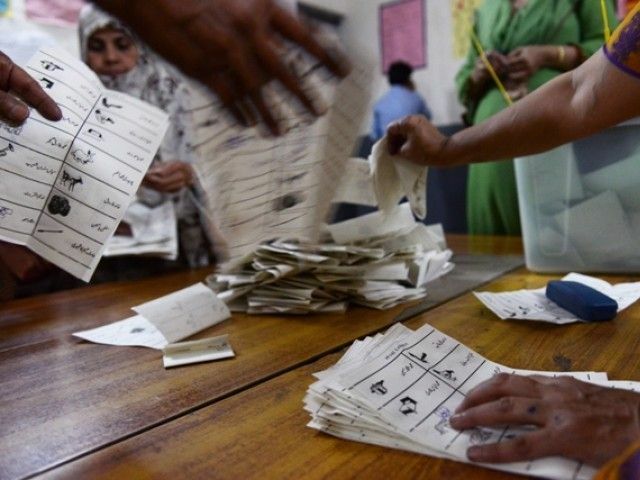 There are 792,786 registered voters in NA-123 and PP-144 and PP-145 are the two seats of provincial assembly that come under the constituency that has 20 Union Councils while Shahdara Mor, Saggian, Ravi Road, Sabzi Mandi, Begum Kot, Qila Muhammadi, Jia Musa, Lajpat Road, Wandala Road, Yousuf Park, Saeed Park and Kot Shahabud Din are the important areas of the constituency. 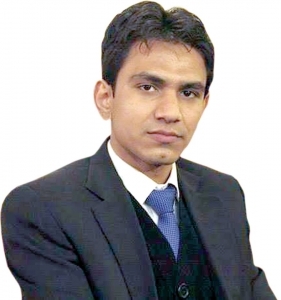 Speaking to Pakistan Today, Mian Waheed Ahmad, a local aspirant of the ticket from Shahdara said that he had been living in the area for generations and several groups of PML-N and PPP had also pledged their support to Waheed if he was given a ticket by the party. “As many as 74 local body’s ticket holders out of 75 from PP-144 and 4 aspirants of MPA ticket from PP-145 want me to contest for the seat keeping in view the deep roots of my family in the constituency,” Waheed said, adding that he also had the support of 15 UC chairmen ticket holders from PTI. It is worth mentioning here that PTI has received over 41,000 applications and so far the parliamentary board has finalised candidates for 85 NA seats but the announcement for Lahore is yet to be made despite the fact that the party had earlier maintained that the final list of all the candidates would be issued by June 6. Party’s central information secretary Fawad Chaudhry said that the parliamentary board is yet to decide 1/3 potential candidates as the party was very cautious. When contacted, Central Executive Committee member and the face of PTI from Shahdara Engineer Yasir Gillani told this scribe that it was true that PTI couldn’t perform well in 2013 because its candidate was an outsider and didn’t know the dynamics of the constituency. “The sole decision to award the ticket rests with the parliamentary board and we’ll abide by the decision,” Gillani said, who is one of the close confidants of Imran Khan and the founding member of the party as well.